If you are tired of your fine hair not being full enough, then you should consider getting hair extensions. The best extensions for fine hair, in my professional opinion, are Great Lengths. Great Lengths hair extensions are the highest quality hair, and as well their patented bond is fantastic. I have been provided hair extensions for 10 years now. My clients have experienced growing their own hair out, it they have chosen to go that route. When is the last time you have heard “options”, when it comes to fine hair? As a hairstylist, for more than 20 years, I am elated to be able to offer the “solution” of hair extensions to clients that are struggling with their fine hair. Let’s face it….mousse has it’s limitations. If you struggle with fine hair, I know that the last thing you want, is anything weighing it down. 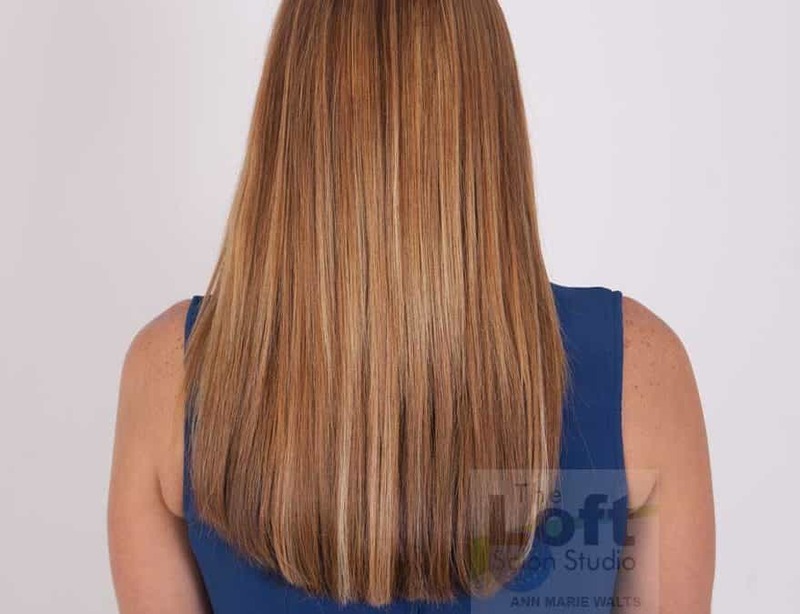 It is safe to get hair extensions, when you seek out a salon that provides “micro-bonding”. Be sure to ask the salon enough questions, and ask to see photographs of their own work. The beauty of adding hair extensions to your fine hair is, Great Lengths texture has a soft wave to it. It also holds a curl very well, for days that you want to style it with a curling iron. Since it is 100% real human hair, you will be able to curl or flat iron your new hair. Tip: Just remember to stay an adequate distance away from the attachment area with your hot tools. The heat from the styling tools can potentially soften your bonds. You do not want that to happen. Whether you were both with fine hair or whether health or age has you not loving your hair, there are solutions.